In North Carolina, about half the people with an Intellectual/Developmental Disability have the Medicaid program called Innovations Waiver. The Medicaid Innovations Waiver program ensures people get the services they need to lead a stable and healthy life. People who do not have this Waiver go without many of these services. This puts an undue burden on them on top of the burdens of their disability. 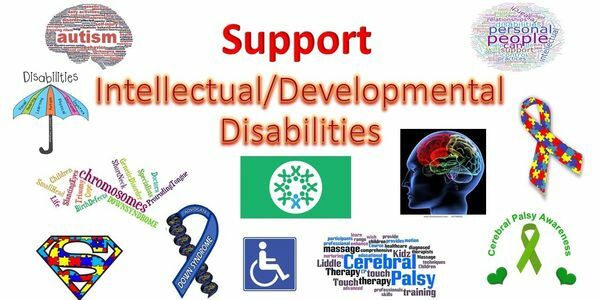 Whether it's Autism, Down Syndrome, Traumatic Brain Injury, or another Intellectual/Developmental Disability, the lack of services frequently puts them into crisis due to the instability of their life supports. These people may end up in an Intermediate Care Facility which is more expensive and less desirable than the outcomes from the Medicaid Innovations Waiver. States are required to provide 1/3rd of the funding for this Medicaid program. Some States are only able to fund this program for a portion of their population. North Carolina only funds this program for about 12,000 people. Another 12,000 people are on the waiting list called "The List of Unmet Needs." People on this list wait up to 10 years before obtaining an Innovations Waiver slot. We want the Federal Government to fully fund the Medicaid Innovations Waiver Program for the most vulnerable portion of our society. This will ensure these people are properly cared for throughout their life.